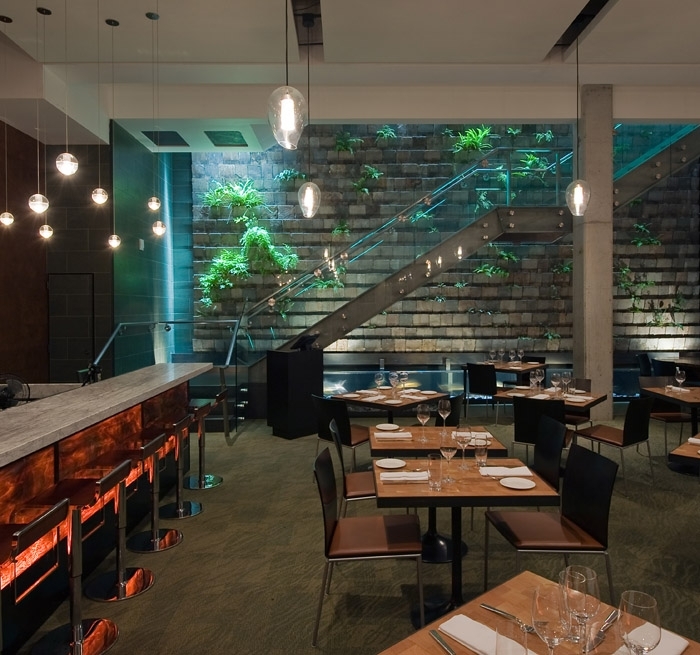 Auerbach Glasow provided architectural lighting design services for the Academy Café and The Moss Room restaurant in the rebuild of the California Academy of Sciences designed by architect, Renzo Piano. The Academy Café offers a casual and quick dining experience. Easily maintained fixtures, seamlessly integrated into the different ceiling systems, reinforce efficiency by providing increased light levels in food prep/service areas while varying light levels increase the fun factor. 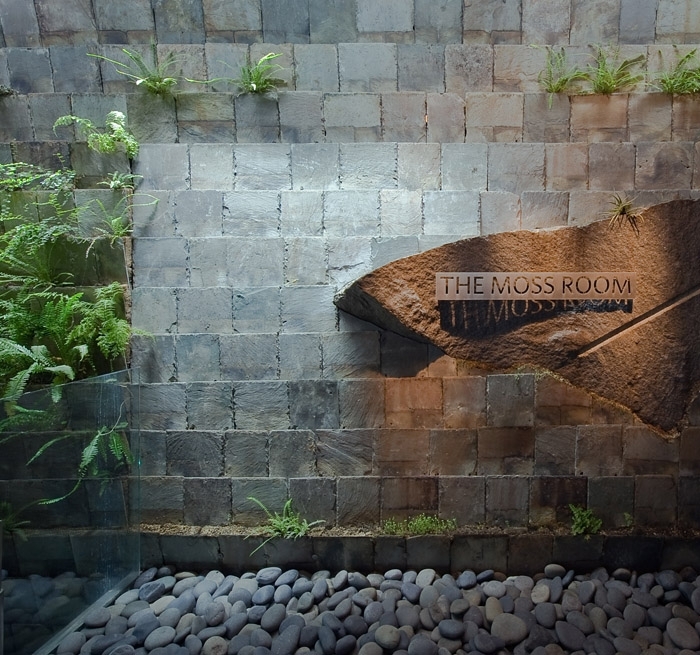 The Moss Room features a 28-foot living wall of fern, moss and stone. The architect’s bold idea called for equally bold lighting solutions. Custom fiber optic lighting, designed to accommodate the delicate nature of the plants, highlights their different colors and textures while incorporation of full spectrum light sources enable the photosynthesis process to take place. 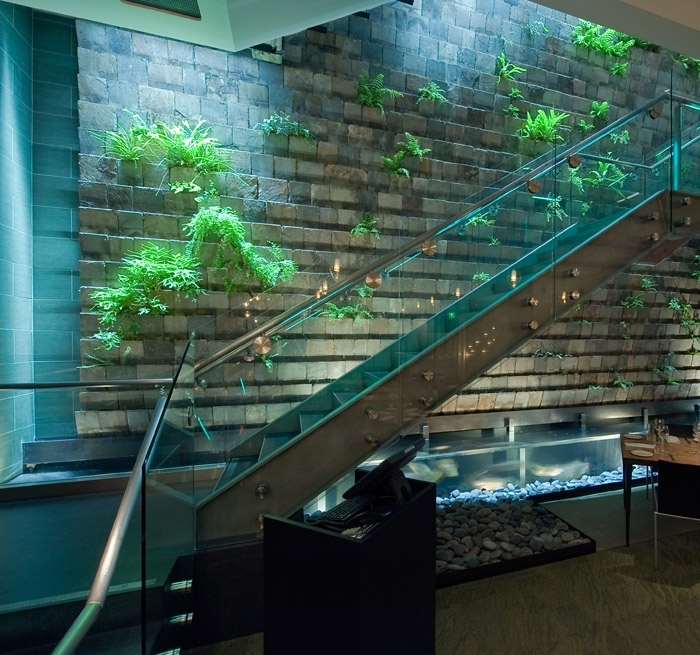 Custom fixtures illuminate the full length of the wall making it the main feature of the dining room. 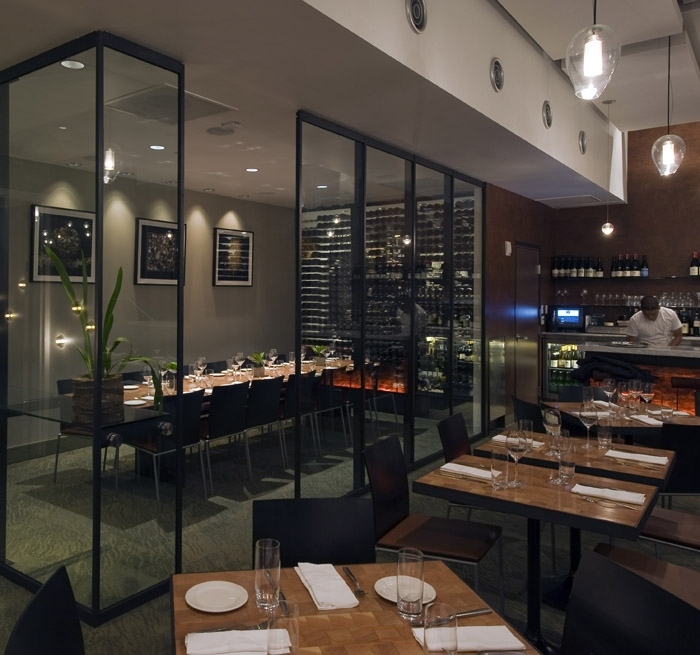 A soft ambient glow from custom clear glass shade pendants bathe the main dining area and private dining room in light while not competing with the featured wall. An aquarium of Asian river fish spanning the length of the base of the wall contains small aperture uplights projecting moving water patterns, creating a dramatic affect. The highly reflective metallic scales of the fish add to visual interest. The California Academy of Sciences is LEED Platinum.